Again, I’ll like to thank delonicdevil for sending me the samples. 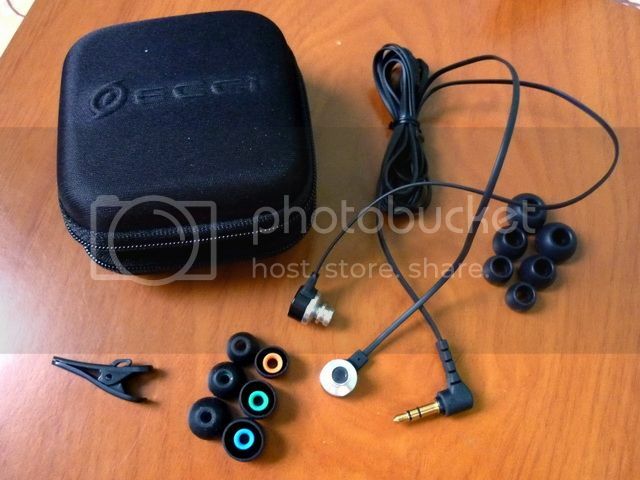 ECCI has been quite a budget oriented brand on all their previous IEM, having bang-for-the-bucks factor almost as good as its competitors in the sub US$50 category (PR100, PR200 and PR300 have been reviewed here). However, the new PR401 is aimed at a higher ground, pushing for a US$75 price tag and a place in the most crowded part of the IEM market. The three pairs of Sony Hybrid clone are not part of the standard accessories, but extras included by delonicdevil. Packaging is pretty much the same as the previous models - a small paper box with the hard case inside, and all the accessories and the IEM itself are sealed in the hard case. Accessories have been good on all the previous models. 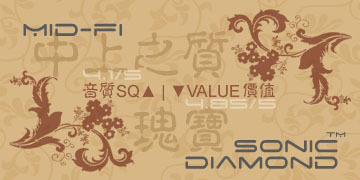 They are good in both quantity and quality. This time however, ECCI has decided to cut the number of silicone eartips to half and only includes the normal wider bore single flange eartips but not the narrower bore eartips. I am not sure why they don’t want the narrow bore eartips with the PR401, but luckily delonicdevil has decided to make up the difference and put in three pair of extra Sony Hybrid style single flanges eartips on the PR401 that his sells. While the original eartips are pretty good in their own right, Sony Hybrid style eartips just sounds better and more balanced (which is what I use). If you got your PR401 from someone else, I do recommend getting some Sony Hybrid eartips as well. Beside the eartips, the rest of the package is similar to previous models. You will get a shirt clip and of course the good nylon hard case. Build quality has always been above average for the three previous models, and so is the new PR401 – though the company does venture out with a new design. First, the earpieces are still made entirely out of aluminum, which is good. It has a rounded shaped like an earbud. 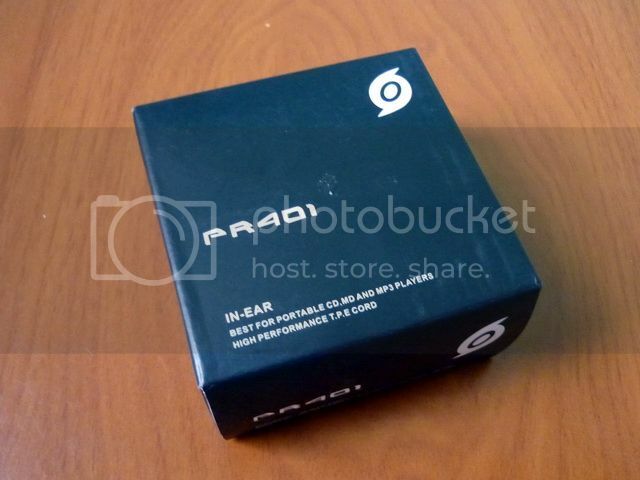 I have average sized outer ears and find no problem with the earpiece, but those with really small outer ears might want to take a more careful look before getting the IEM, especially those who have difficulty with your typical earbud. 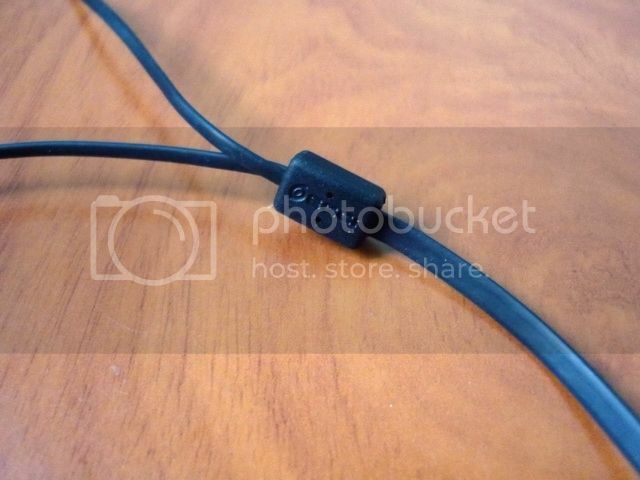 The IEM also features a new flat cable which is quite popular these days because they don’t tangle much. I am not a big fan on flat cable because they add unnecessary weight, though I have to say the flat cable on PR401 is slim enough that I won’t mind using. The only downside about this cable is microphonics. While the material itself is not particularly more microphonics than a big portion of other IEM out there, it is the way it likes to rub against the clothing that worsen the issue. I presume it has more to do with the larger surface area with rubberized finish as I find just the same problem with a-JAYS, which also features a (even wider) flat cable. The good news is PR401, unlike a-JAYS, can be used with a shirt clip. 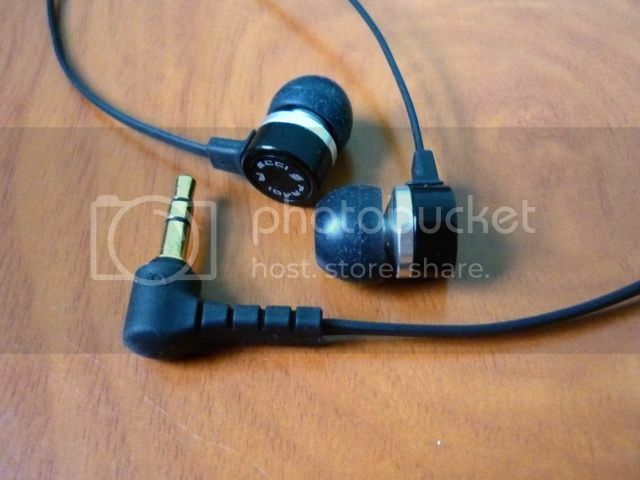 Another way to deal with the issue is to wear the IEM over-the-ear, but the lack of cable slider makes it hard to secure the cable behind the ear. I actually use the shirt clip as a cable slider in one occasion – not particularly good looking but at least it is functional. On the plus side, the flat cable seems a bit more durable than typical rounded cable, so even the small strain relief on the earpiece doesn’t bother me much. The strain relief on the 3.5mm plug is however quite decent. Beside issue with microphonics and the lack of cable slider, overall I am very happy with the IEM build quality and the fact that ECCI is able to maintain the same level of craftsmanship over their product line, regardless of price. As usual, 50 hours of burn-in is given to the IEM before the review. Though burn-in doesn’t seem to improve the sound quality, I have to say I was already impressed by PR401 upon first listen. In many ways, PR401 is the improved version of PR200 and PR300 combined - more mature, refined, and spacious, but retains most of the goodness from both. It really graduated from entry level IEM (where the rest of the PR series are) to become a seriously good mid-fi IEM in its price category. The overall sound signature of PR401 is balanced with a slightly V-shaped like presentation and a faint sense of warmness. Bass is impactful, good in body, depth, texture, while has a decent decay and quantity (*with Sony Hybrid clone) - not larger than PR200 or PR300, but not too far away either – and definitely show a greater degree in control and refinement. Mid is more recessed than PR300, but also shows a better sense of distance and space while still retains a good amount of the warm and sweetness in the vocal, the improved decay in lower mid (compared to PR300) helps in giving a fuller sense of body and texture despite being less forwarded. Treble is similar to PR300: forwarded, full of detail and sparkles while ever so crispier and still sibilant free. Soundstage and image is quite good: airy, spacious and layered. While in first listen, PR401 might not be as apparent as a big jump from the PR200 and PR300, but the devil is really in the detail. It is the refinement in sound on the PR401 that makes it truly stands out from the rest of the series. While PR401 is considerably more expensive than the lower models, it has the improvement to show what it worth. While having some minor issues on the design, it is still overall a very solid IEM, both on build and sound quality. With the price tag of $75, it is also a very strong contender in the sub$100 market. It won’t get a perfect score from me, but still enough for a Sonic Diamond recommendation. This above rating is for ECCI PR401 only and may change without notice. Please refer to the list for a complete listing.